Please click here to apply for a 2019 press pass by completing this form. LOS ANGELES (April 2019) – ‘Tis a great and mighty wonder, this joyous feast day brings! Your trip may only take you ten minutes East of Pasadena, but you’ll end up 500 years and a continent away. Step through our gate, out of the modern, weary world, and into a land of unbridled imagination, celebration, and compassion. 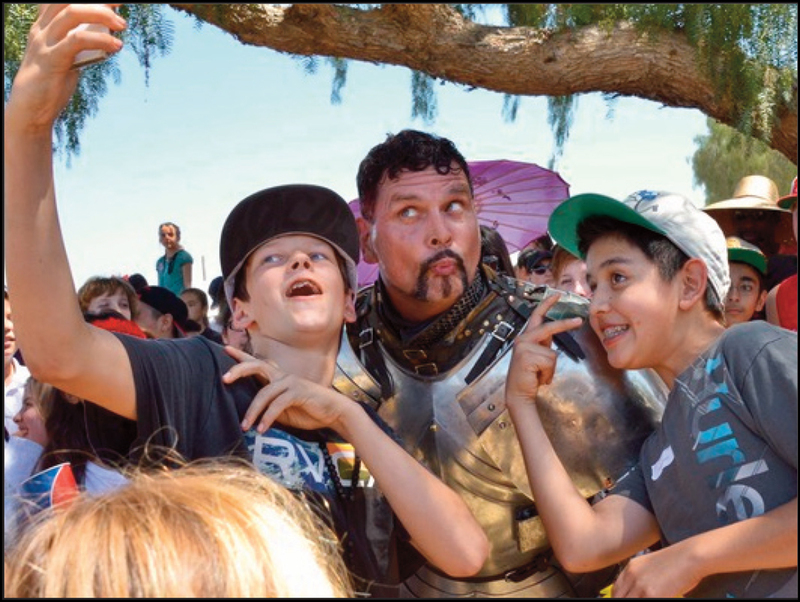 The Original Renaissance Pleasure Faire – the world’s oldest – presents its 57th anniversary season, beginning April 6th, and continuing each weekend through May 19th, at the Santa Fe Dam Recreation Area in Irwindale, CA. Set in the royal shipyard city of Deptford during the reign of Elizabeth, fairgoers – many of whom dress in period costumes – are immersed in the music, language, merchant scene, and entertainment of the era. Thousands of performers roam the 23-acre lakeside shire, including Her Majesty, Queen Elizabeth, as well as a bevy of knights, ladies, peasants, and more colorful characters than one could count! There are 13 stages of entertainment featuring more than 40 performance groups, such as magicians, dancers, jousters, witty comedians, musicians, storytellers, jugglers, and improvisation troupes. Our thirteen stages of nonstop entertainment come to life with continuous performances from 10 a.m. until 7 p.m. everyday! Our 2019 entertainment lineup features a wide variety of acts, from jousting to aerial silk dancers, from jugglers to musicians, from still walkers to magicians. There is fun for everyone. New this year, Story Pirates celebrates the words and ideas of children by presenting them live on stage, Kathleen Finnegan brings the magic of the Irish Harp to the Faire, and Tea & Strumpets presents the rowdiest village tea band in the land. Welcomed back to our stages are Aaron Bonk Whip Artist, The Lynx Show, and The Jackdaws, along with special guest appearances from Bob Barker Marionettes, The Magikhana Show, and the Tortuga Twins. We will also host our faire favorites with the likes of MooNie! The Magnif’cent, The Clan Tynker Family Circus, Broon, and Brandon Scott: The Wizard of Wonder. Sing along with the beloved The Poxy Boggards and The Merry Wives of Windsor and dance along with Seraphim Arabesque. Feel the thunder of The Jousters and the gust of wind ruffle your hair as the Birds of Prey fly just inches above you. And of course, be sure to meet our beautiful and gracious Queen Elizabeth. The variety of over 125 high caliber artisans in the village marketplace is sure to appeal to even the most discerning shopper. Nowhere else can you find the combinations of artists who will demonstrate their skill at blowing glass or forging iron, create a perfectly authentic article of renaissance clothing, or fashion a one of a kind piece out of exotic leathers. Whether you fancy delicately formed gold jewelry or prefer to sport a drinking horn about your neck, there are crafts to outfit yourself and your home. Children delight in having their face painted, their hair braided or finding a new puppet friend. Arts and crafts workshops such as Celtic drawing, beadwork and basket weaving are offered for all ages at Queen’s College for those that crave a DIY souvenir. The Renaissance Pleasure Faire is proud to present some of the finest festival food. Boasting local and internationally trained chefs, twenty-three food vendors offer an array of foods from fish and chips and sausages to salads and sorbets. Vegetarian and Vegan entrees and desserts are available. Our Pub Crawl is offered twice each day where you’ll visit six of our village pubs for drinks, games, toasts, and jokes to make everyone blush accompanied by the most boisterous characters in town! Pub Crawl will sell out, so stop by the Guest Services Gazebo inside the front gate to sign up early! Deptford’s live-action fantasy-play returns with a brand-new storyline in 2019. RenQuest™ offers gamers the chance to test their role-playing prowess beyond the realm of their computer screens. Come join Donna O’Malley and her hearty gang as they quest to solve the puzzle allowing you to seek her treasure! Escape your world and tackle the adventures that are RENQUEST™! The Unrulie Foolie Tea: Join the Court of Misrule for tea and have a crazy MAD time! Be prepared for fun and zany antics as these fools stir a little sugar into the mix of your day. The daily Unrulie Foolie Tea is at 2:00 p.m. in the St. Cuthbert Guild Yard, where authentic English scones, tea sandwiches, tarts, and tea are served. Reservations are required. Admission is $26 for adults and $13 for children and includes a commemorative teapot. Elizabeth I, whose reign is noted as the start of the English Renaissance period, greets fairgoers throughout the day and also holds an audience at a royal tea. Tea with the Queen is at 4:00 p.m. Daily in the St. Cuthbert Guild Yard, where authentic English scones, tea sandwiches, tarts, and tea are served. Reservations are required. Admission is $26 for adults and $13 for children and includes a commemorative teapot. The wee ones and the young at heart will enjoy Kids’ Kingdom, where games, crafts, storytelling, songs, interactive shows, and magic are featured in the fairytale land. Join in the fun, where you can see shows like Foolish Fractured Fairy Tales, The Witches’ Apprentice, The Giant’s Treasure, Beauty and the Beast, Merlin’s School Of Magic, and Gwendolyn’s Quest. Knighting Ceremony: Be one of only 25 lucky children each day to be made a Knight or Dame of the Realm by Her Majesty Queen Elizabeth in person! Signups start at 2:00 p.m. for the 4:20 p.m. ceremony at Kids’ Kingdom. Children’s Militia: The Guild of St. Michael (near the joust) enlists kids of all ages in a fun and educational experience. A careful history and use of weapons is explained, and the kids get to learn how each weapon is used through hands-on interaction. Placed in groups, the new soldiers are then taught drilling and advancement techniques. Upon completion of the half hour course, the kids lead the march on the tournament field during the Royal Joust (with the Queen, no less!) Parents, get your cameras ready. Saturdays and Sundays 10 a.m. – 7 p.m.
Children 4 and under, always FREE! 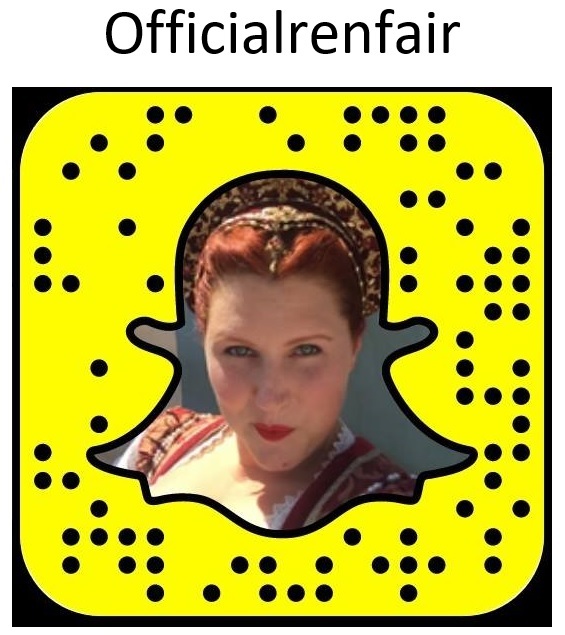 Discount Tickets online at Renfair.com via ShowClix. Group Rates available for 15 or more by calling 626-969-4750. Senior, Military, Student, and AAA discounts at the Box Office on Faire Days with appropriate ID. Preferred Parking is available for an additional $20.